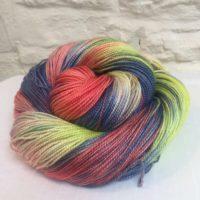 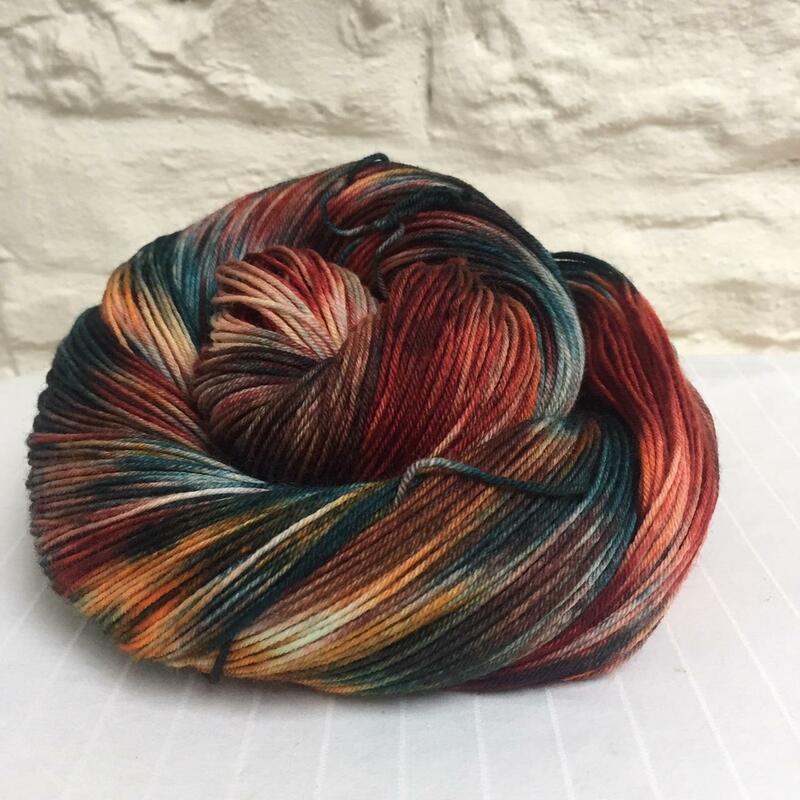 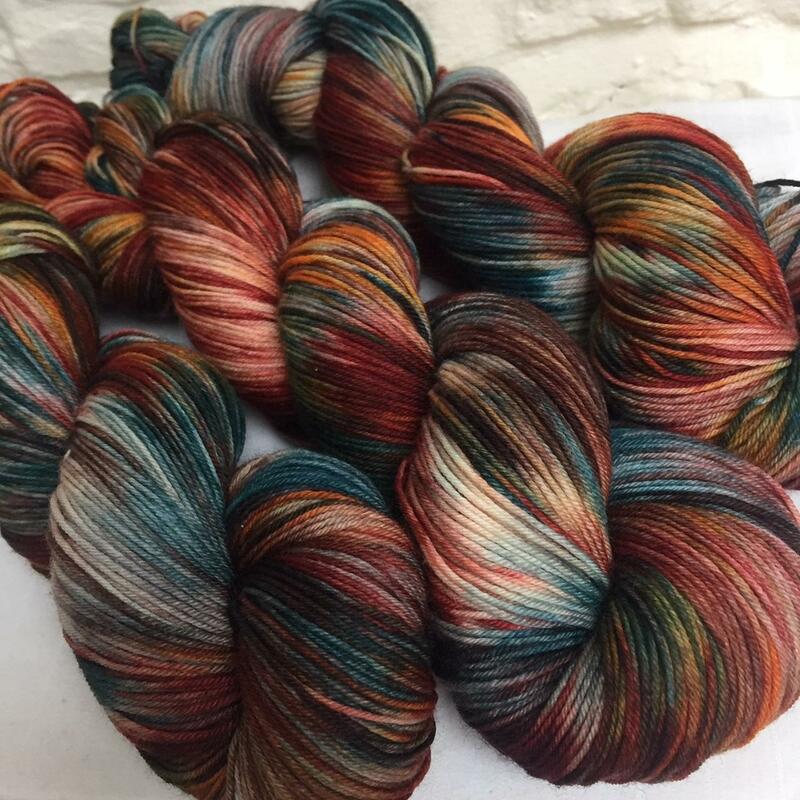 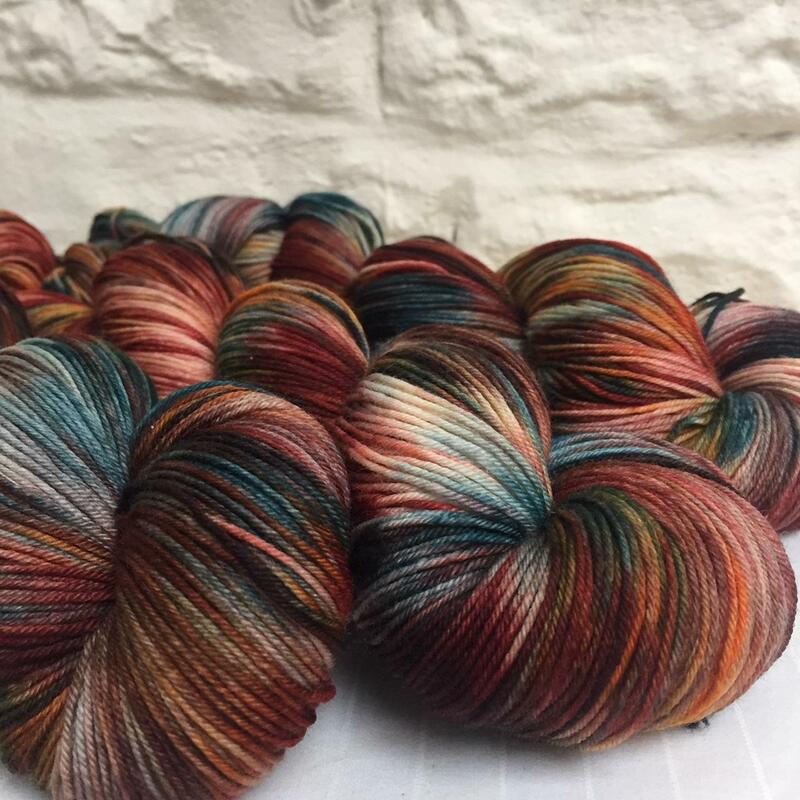 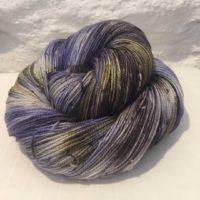 Wardlow Welldressing is part of the Peak District Yarns Welldressing range – which pays tribute to the Derbyshire tradition of Welldressings, where beautiful pictures are created from petals and foilage set into clay. 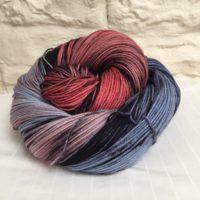 Wardlow Welldressing features moody shades of kingfisher blue, garnet reds, orangey browns and flashes of cream and white. 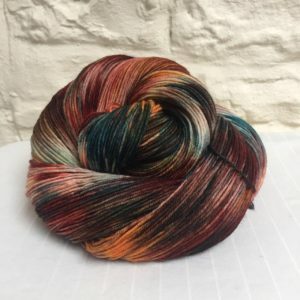 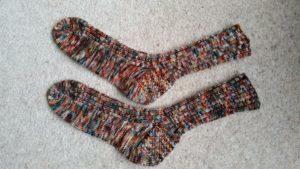 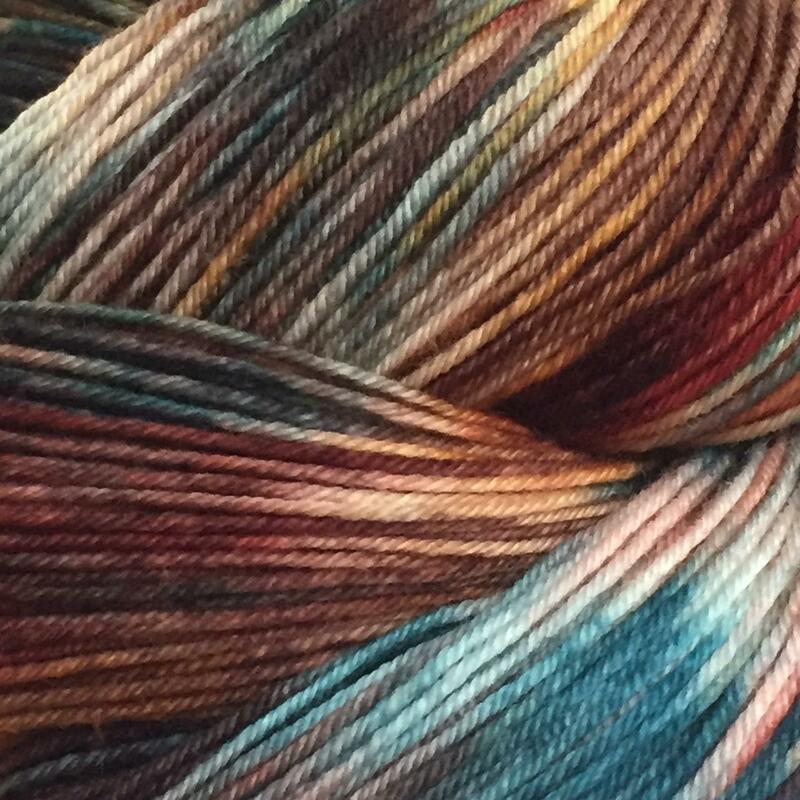 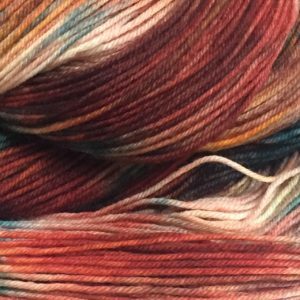 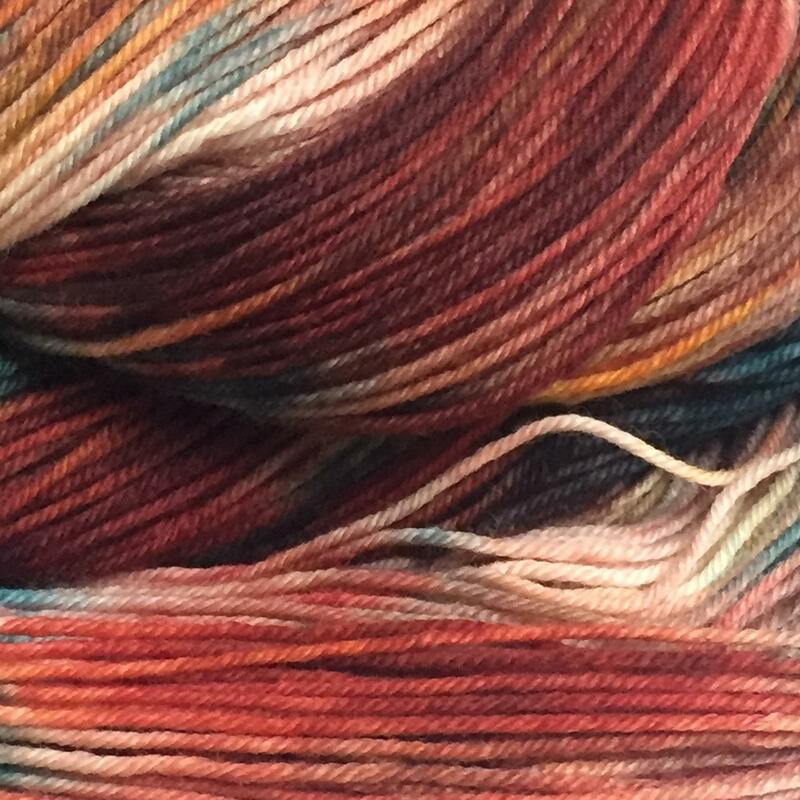 Dyed on a super-soft 75% merino / 25% nylon base this skein would be perfect for a pair of socks or a shawl.